I love the progression of Spring colors. This week the predominant colors are lime green and purple. Around town, people are mowing their grass for the first time this year and there is a wonderful spirit and attitude. 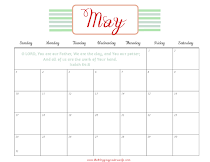 I have a printable in lime green and purple for you all this week. I love the verses in Deuteronomy 6 where it encourages us to remember who God is and how we should follow His commands. We cannot be wholehearted followers of Christ if we don't bind His word on our hearts. In our home, we have surrounded ourselves with Scripture. 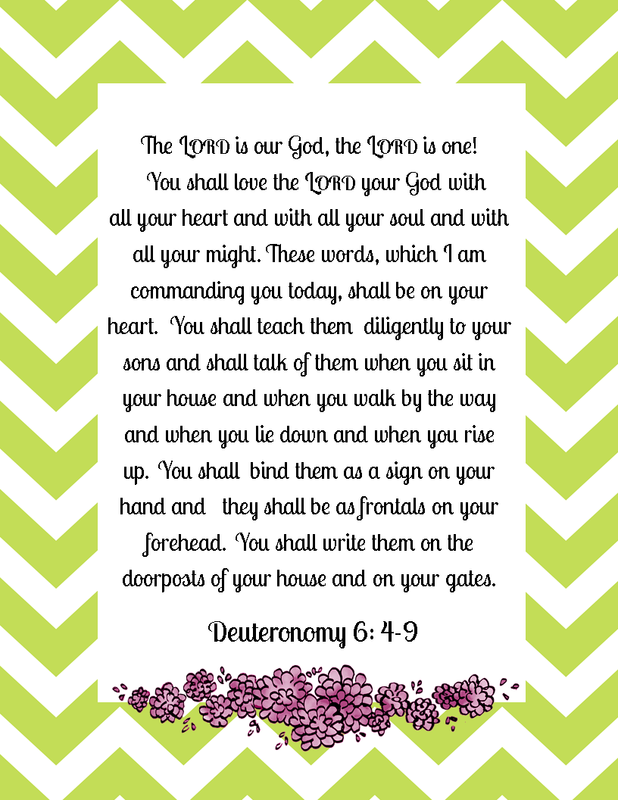 Every picture, wall hanging, magnet, and decoration includes Scripture in some way. I want to make sure that everywhere we look in our home we are reminded of God's Word. But, I have found that we can surround ourselves with Scripture and still forget about God throughout the day. This verse is a great reminder to us that we need to be not only looking at Scripture, but talking about Scripture, not just a little but a lot. This isn't something that just happens accidentally. I am reminded that if our heart is full of self, family, hobbies, work, pleasure, entertainment, fill in the blank...there is no room for a wholehearted love for God. Sometimes we have it backward. Our heart should be completely full of God and then He will help guide every other area of life. When this happens our conversation will now flow from a heart full of God instead of a heart full of everything else. The printable above is 8.5x11. 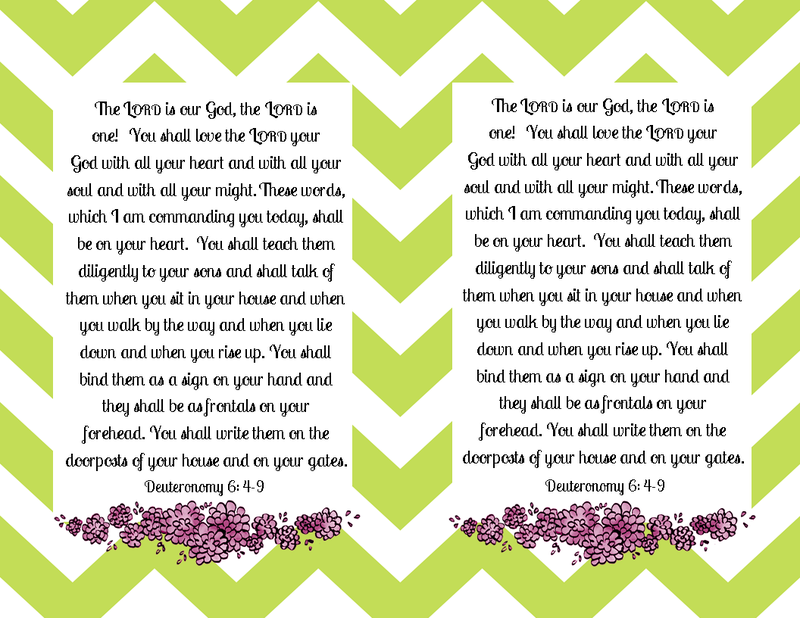 Two verses will print measuring 5.5x8.5. These are a little blurry on the computer due to a smaller pixel, but when you print them they will print on a higher pixel making them clear. The printable above is a full page printable. It will print 8.5x11. I hope you enjoy these. Bind them on your heart. Print them and hang them on your walls! Feel free to share and pin these for others to enjoy as well.